Man Utd will be looking to overturn a 1-0 deficit when they face Barcelona at the Nou Camp on Tuesday night as they hope to advance to the Champions League semi-finals. The Red Devils produced a dramatic late comeback against Paris Saint-Germain in the last round, but they’ll need to repeat the trick against the Catalan giants. A Luke Shaw own goal was all that separated the two sides at Old Trafford, although United did fail to register a single shot on target during the encounter. 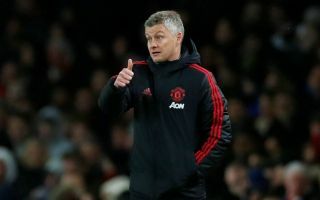 However, they did have their moments and looked a threat, with Ole Gunnar Solskjaer hoping that the pace and movement he’s gone with in the final third in the reverse fixture will be decisive in finding a breakthrough against Barcelona. Marcus Rashford, Anthony Martial and Jesse Lingard all start, with Man Utd arguably looking at their strengths on the counter attack in a game that they’ll expect their rivals to dominate possession in. They’ll have to defend resolutely too though, and that will take a joint effort from the entire line-up in order to ensure that the La Liga champions don’t find their rhythm and begin to pick them apart. Based on the reaction below, it would appear as though a particular selection from Solskjaer has many Man Utd fans worried, and that’s stalwart Ashley Young getting the nod. The 33-year-old endured a torrid time in the first leg, and he’ll have to now produce a response on a personal level to ensure that he proves his doubters wrong to emerge as a key figure in a win for United. Nevertheless, he’ll have his hands full as if he plays on the left of the back four as expected, he may well have the huge task of keeping Lionel Messi quiet. Jones and Young! Please God prove me wrong. Ashley Young against Messi. This could be my last ever tweet on this platform. See you guys later. We didn’t wait all week just to find out Ashley Young is starting once again. Where is Dalot?